everything from basic functionality to cool recently implemented features. For the sake of this post, I will evaluate the barebones of the LMS and relay the immediate finding of what these systems are not only capable of but what they will eventually do for your organization. LMS are not only for E-learning activities! When establishing an appropriate blended learning strategy and increasing departmental efficiency, the LMS should be the first place you look. Learning Management Systems have the unique ability to act as an actionable content repository, in which you can assign learning object status to a wide arrangement of file types, host Instructor-led Training (ILT) offerings, and quickly reference all the available learnings accessible to your organization. Then quiz, test, and survey about any type of learning a user may encounter within the system. By aligning all of this functionality into one place an LMS is truly a powerful offering for any organization. Ultimately reducing time spent in content production by avoidance of unnecessary redundancy, and through the accessibility of vastly approachable materials. A properly configured LMS can be reached from anywhere in the world, allowing for a large commitment in utilization. Modern day LMS, also often fully support Mobile functionalities, allowing the user to select their preferred platform when accessing their learnings. 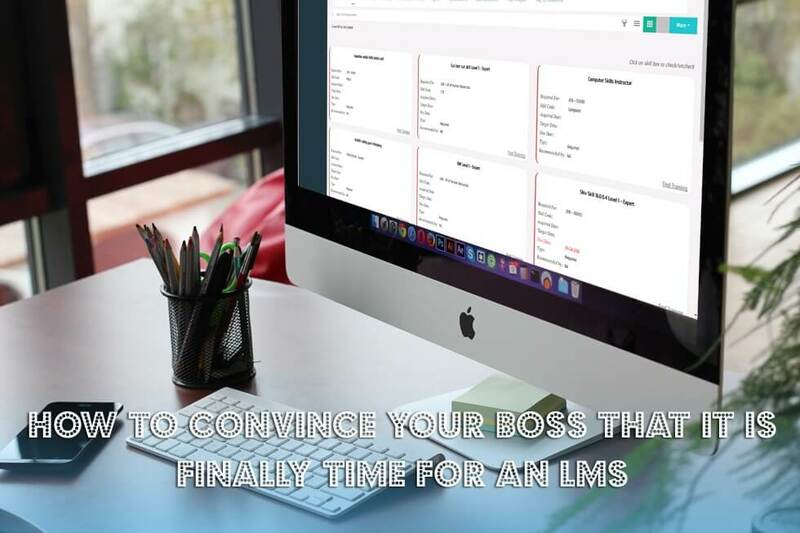 The LMS has made it so that learning is no longer confined to computer labs within organizations. People can get up to date with their processes directly from their desk, on the road at a trade show or while on a sales trip, or remotely from radio offices and branches users; regardless of scenario users can now obtain and action upon their learnings. All that is required is a device, a browser, sign-on credentials and a domain. New and more innovative reporting capabilities are constantly evolving within the marketplace due to industry perceived best practices. An LMS gives you the capability to monitor and evaluate all of the actions conducted within the system, who has undergone what training? Who needs additional learning? What learning plan can be assigned to close an overall gap within roles within particular organizations? These are all questions that can be answered clearly, concisely, and immediately within an LMS platform. This takes the guesswork out of learning efficiency within an organization and places the knowledge required in order to promote a strong learning program directly in the hands of program administrators and trainers directly. An LMS is a virtual playground for learning and development personnel. I say this with respect to the marketplace in itself and how LMS are shaped in the anticipation of supporting future market trends. A modern day LMS needs to have the foresight to accommodate innovative new features such as gamification (in all of its potential forms), social learning, and file types as they become more and more regulated going forward. With this in mind, most changes within a learning environment originate directly at the LMS level and will continue to occur here as it is the most flexible component of the learning mix. There are many benefits of Learning Management Systems, these listed, are core components of a standard LMSs functionality. By evaluating what a system is capable of doing for us at its most basic level, we can begin to assess additional functionalities beyond the core. Join us as we further consider these additional benefits week in and week out here at the Gyrus Blog. As always, thank you for joining us here at the Gyrus Blog, be sure to subscribe at the top right-hand corner of this page (Bottom if you are viewing this via a mobile platform), in order to get this fresh content distributed directly to your email inbox as it is posted.